The following is a press release from the Republican Party of Texas: As we previously reported, last Friday, the Attorney General filed a motion requesting that the three-judge panel in San Antonio reconsider setting the redistricting status conference previously set for February 1st, to an earlier date. The motion stated that such a late conference date could unnecessarily delay obtaining new congressional and legislative district maps, thus putting the April 3rd unified primary date in jeopardy. The order also instructed all parties to confer and see if they can come up with maps by agreement in sufficient time to still allow the April 3rd primary. The court indicated that if the parties couldn't agree, that the court wanted the parties to narrow the issues for further discussion. The court also indicated the possibility of having two primaries remained an option if maps could not be drawn in time, with at least the Presidential primary and precinct conventions held on April 3rd, and all other primaries held at a date to be determined in the future. 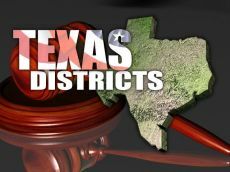 Moreover, the court instructed the parties before the Washington D.C. panel to advise the court of the need for a timely decision in the event their decision would impact the Bexar County panel's drawing of district lines. Chairman Steve Munisteri issued the following statement with regard to the court's latest order. "We are pleased that the Court took note of our concerns that a February 1st hearing unnecessarily delayed the completion of the redistricting process and welcome the court's decision to move up the hearing by four days. However, the court's order also indicated that the parties needed to attempt to agree to new maps immediately in order for the court to meet the April 3rd deadline. Since the parties have been involved in contentious litigation, it will be difficult to achieve consensus among all the parties. This fact raises concerns that the process will drag out an inordinate amount of time, thereby again placing the April 3rd unified primary date in jeopardy. Therefore, the RPT will continue to advocate that the court move as swiftly as possible to draw their own maps in accordance with the U.S. Supreme Court's opinion. The RPT position will be that a single unified primary in early April is the best possible result, and still obtainable, but the ability to accomplish this rests squarely in the hands of the three-judge panel and the timeliness of their actions." Advisory to all Republican county chairmen, precinct chairmen, and party activists - it is still possible that we could have a unified primary election on April 3rd, so therefore, RPT still advises that you proceed with planning as if an April 3rd primary will occur. However, unless the court moves at a faster pace, you should be aware that there is a significant likelihood that the April 3rd unified primary date will either be pushed back further into April, or that the court will order a bifurcated primary with at least a Presidential primary occurring in April and the elections affected by redistricting to be at a later date. It is unclear what would occur to other statewide or countywide contests which are not affected by redistricting. Although the court order did not specifically state this - it seems apparent that the re-opening of the filing period will not occur before February 1st. Therefore, the closing of the filing period will also not be on February 1st, and you should plan accordingly. We should know more after the Friday, January 27th hearing - so please stay tuned for further announcements. Be prepared to be flexible and to react on short notice. We are receiving a tremendous volume of calls and emails from candidates and party officials. Because of the limitation of staff, we request that you only call or write on this issue if you have a question that is not covered by these advisories. We will endeavor to keep you up to date as quickly and as timely as possible.